Google’s mobile-friendly update began to roll out yesterday, dubbed #mobilegeddon, and if your website isn’t mobile-friendly at this point you are way behind. There is a large percentage of websites that have not adapted yet, so don’t feel overwhelmed if you haven't made the necessary changes yet. It is not too late to convert to a responsive website design. If your website is not mobile-friendly at this time you can expect to see a major drop in mobile traffic until the necessary changes are made. If you aren’t sure if your website is optimized for mobile you can run it through Google’s mobile-friendly test. A lot of talk has been centered around how to prepare your website for the update. Well, what about businesses that took action months ago when the update was originally announced? For those that saw the writing on the wall and ensured that they were prepared for the mobile update we are going to discuss three ways to improve your mobile marketing strategy to take full advantage of this opportunity. 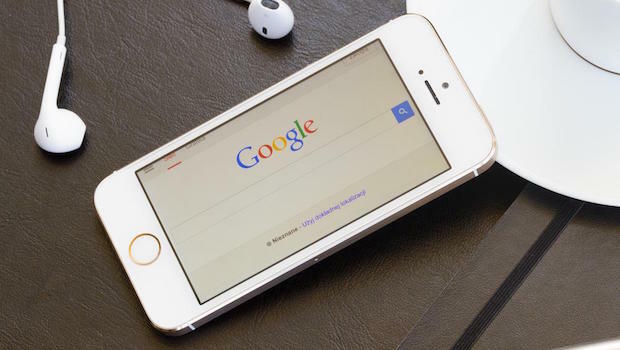 Simply having the “Mobile-friendly” designation next to your website in the mobile search results alone won’t help your business, so implement these three tips to help improve your mobile strategy. You need to really get into the mind of your audience in order to properly target the correct keywords and craft your mobile marketing strategy. The device they are searching from, the time they are searching and the location they are searching from will all dictate different intents. If someone is searching for a restaurant at home from their computer at 2pm they are more than likely just looking for possible places to eat either that evening or at a later date. If that same person is searching from his or her mobile device while out around 6pm they are likely looking for a place to eat. You have to think like this when planning your SEO campaign and it becomes even more important when creating a PPC campaign. If a restaurant increases their bids during peak hours they will draw in more valuable traffic that is more likely to convert into customers. Mobile searchers have a much different intent than those searching from home or work on their computers. Take this into consideration when mapping out your mobile marketing strategy. Mobile traffic continues to increase, yet many businesses haven’t taken steps to cater their websites and landing pages for this mobile traffic. Like it or not, the majority of your traffic is going to come from mobile devices so you need to adapt or get left behind. Landing pages need to feature less text copy and a clear call to action that can easily be completed by mobile visitors. Your business phone number should be clickable, allowing a potential customer to call your business with a single click. Your contact information should be extremely easy to access. All of these little things will help your business turn more mobile traffic into leads, sales, phone calls and location visits. Mobile conversion rate optimization is something that many business owners are not familiar with, which is one reason it is best left to a professional that has optimized and run mobile-targeted campaigns for several industries. This first hand knowledge will eliminate a lot of the early stage testing. There is always going to be optimization and split testing required, but a lot of the beginning stage guesswork can be eliminated. 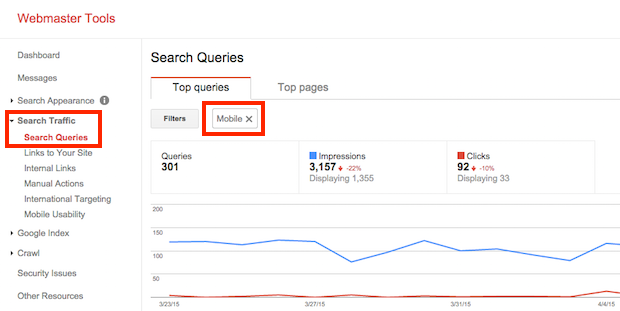 The mobile search results differ greatly from desktop searches. Everything is different, from the intent of the searcher to your competition in the results. It is important to understand how your keywords perform for both traditional search as well as mobile search. Your Google Webmaster Tools and Analytics can provide great data. For instance, your WMT account will allow you to see the keywords and search terms that triggered your website to show in the search results and you can filter it between “Web” and “Mobile” to see not only what keywords triggered your site but also what position they were ranking at. This data can be used to see how your performance differs between mobile and traditional search, as well as identify new keywords to target. Google has stressed the importance of having a mobile-friendly (responsive) website for a while now and this latest update should leave no doubt that they are serious. While a website that provides a pleasant mobile browsing experience is essential, you now have to make sure that your overall online marketing strategy has mobile traffic in mind.